To be completely honest, part of this post dates back to last year. Usually, I would've ditched it and not even bother publishing it. However, I recently visited Satomi Sushi & Grill last week and ate most of the same dishes and more since Costanza and family joined us. So I'm mainly talking about my most recent experience with only a few items from before. 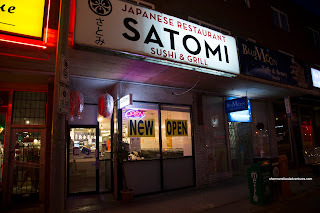 For those who don't already know, the owners formerly ran Minato on Broadway and Oak before the corner mall became another condo development. Prior to the sushi, we got the Prawn Tempura to kick things off. Presented on a metal rack, this ensured that the tempura would stay crunchy without sitting in a pool of grease (or paper soaked in grease). Now this was assuming that the tempura was prepared properly to begin with. 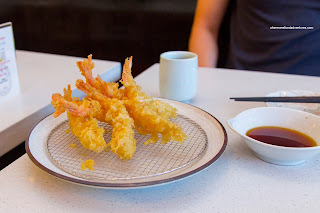 That it was with a light and crispy coating that gave way to a large buttery prawn that had a sweet snap texture. We noticed that all the tempura plates were served like this, which meant the veggies would stay crispy (as they soften more quickly). 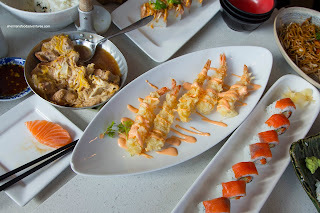 On our most recent visit, we had the Ebi Mayo which was the same tempura prawns drizzled with spicy mayo. Interestingly, they didn't plate this the same way and the batter did soften after awhile. 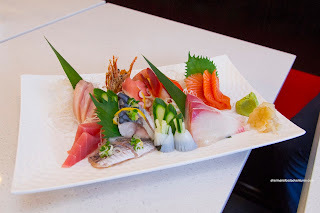 Moving onto the Deluxe Assorted Sashimi, it sure looked impressive on a big plate with fairly large pieces. However, remember that large pieces of sashimi does not mean better in terms of texture and eating logistics. Although the Hamachi was unusually large, it ate buttery since it was the farmed variety (hence lighter colour). Texturally, the Salmon and Tuna were buttery as well. However, the Aji was essentially the scraps of the fish which annoyed us. I thought the Tako was a bit thick and too chewy for my tastes. 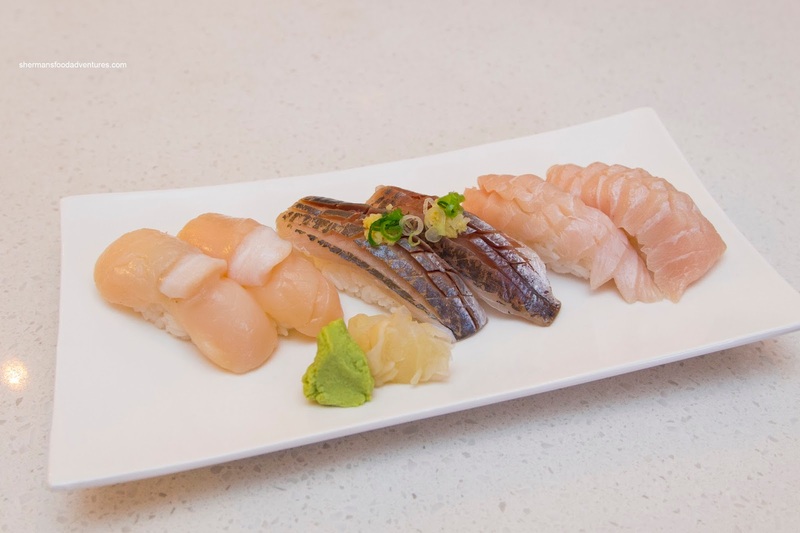 Our last item was Nigiri featuring Hotate, Aji and Toro. These were pretty good where the rice was formed properly and tasted okay. The scallop was buttery and sweet while the Aji and Toro were texturally on point. 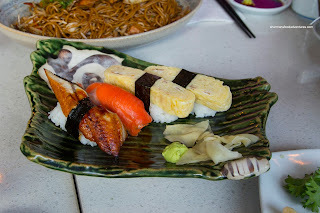 Ordering a different set of Nigiri on our most recent visit, my son had his usual Tamago, Unagi and Smoked Salmon (yes, he is branching out and really, this is the gateway to sashimi!). Anyways, the rice was nicely formed again and on point texturally. The tamago was pretty good (as evidenced by the picture). The last time I had the Spicy Salmon Aburi, it was regrettable since the rice was too loose and the whole thing was constructed poorly. We couldn't even pick each piece up without it creating a bloody mess. The rice was actually not that bad, it just wasn't packed in properly into the mold. It was spicy though and it was actually decently flavourful. This time around, it was done correctly, but the jalapeno could've been sliced thinner. 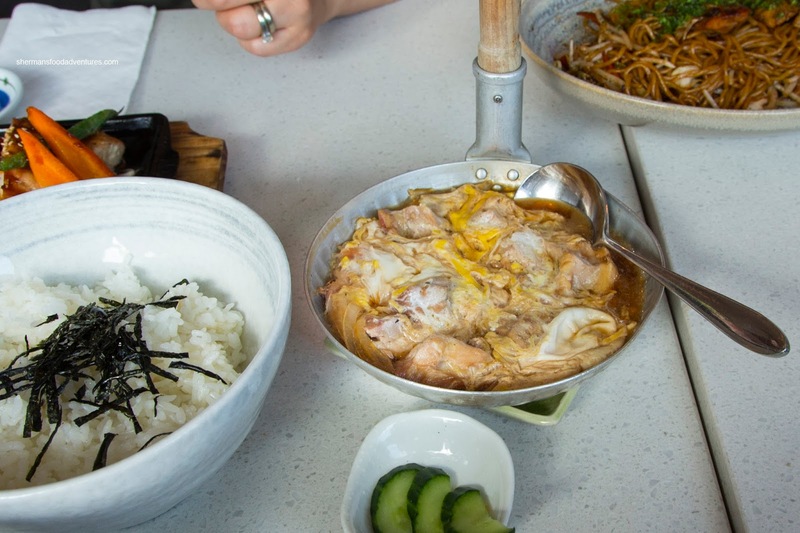 Onto 2 cooked items, the Oyako Don was uniquely plated where the egg and chicken mixture was separate from the rice. In this manner, the rice remained chewy and didn't get soggy. We asked for no onions for the kiddies, but they put it in anyways. Whatever the case, it was good though with fluffy egg and tender chicken in a mildly sweet sauce. This was not bad, but the Chicken Yakisoba was better. 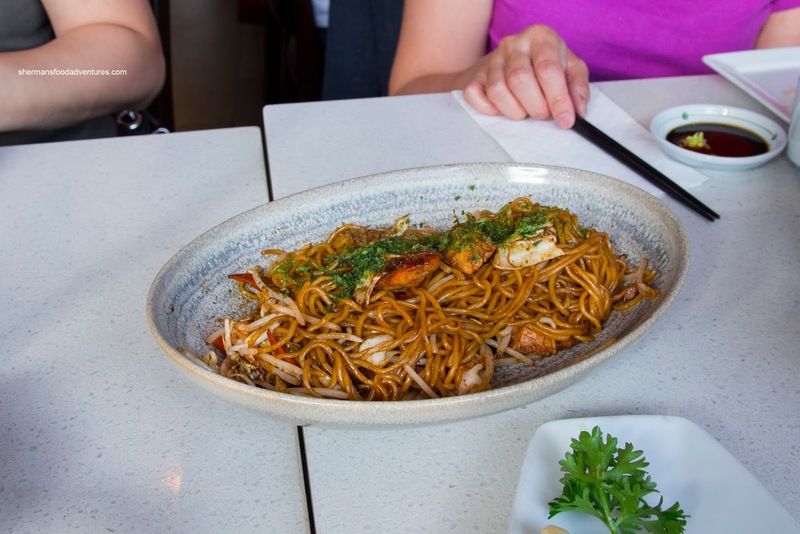 It featured chewy noodles that were not greasy and nicely seasoned being sweet, salty and slightly tangy. The crunch from the veggies was good while the chicken was plentiful. 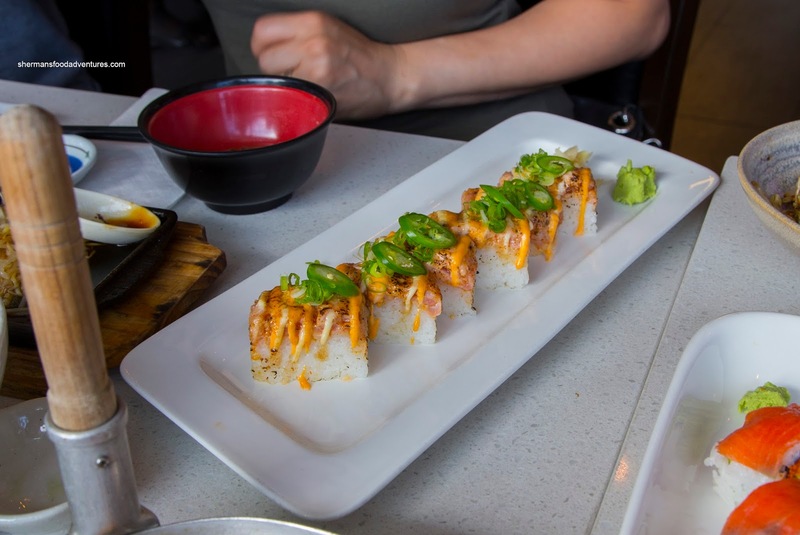 We also ordered 2 rolls in the Alaska Roll and Una-Tama Roll. 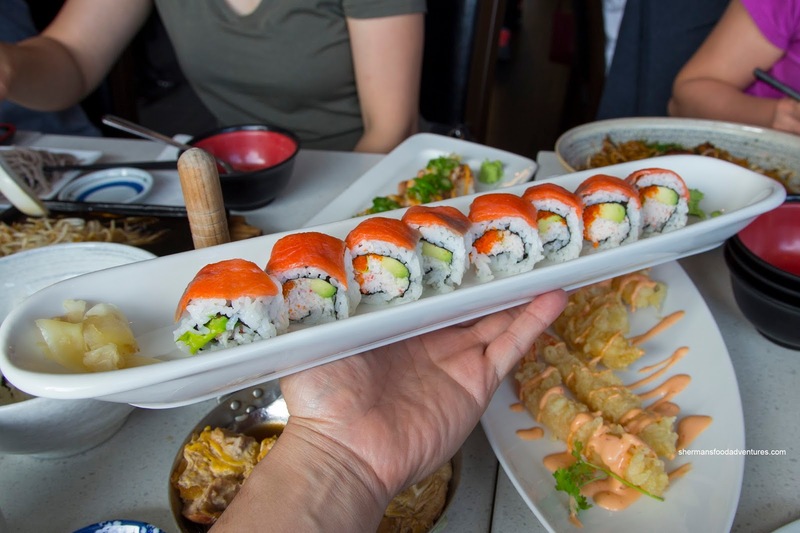 I only took a picture of the Alaska Roll since I was busy eating... We found the rolls to be fairly well made being not too loose nor too tight. The rice was chewy and mildly seasoned while the ingredients were fresh. The una-tama roll was missing the cucumber to go with the unagi and tamago, but my son didn't mind. Overall, from these 2 visits, I would say Satomi is above-average with some minor consistency issues. 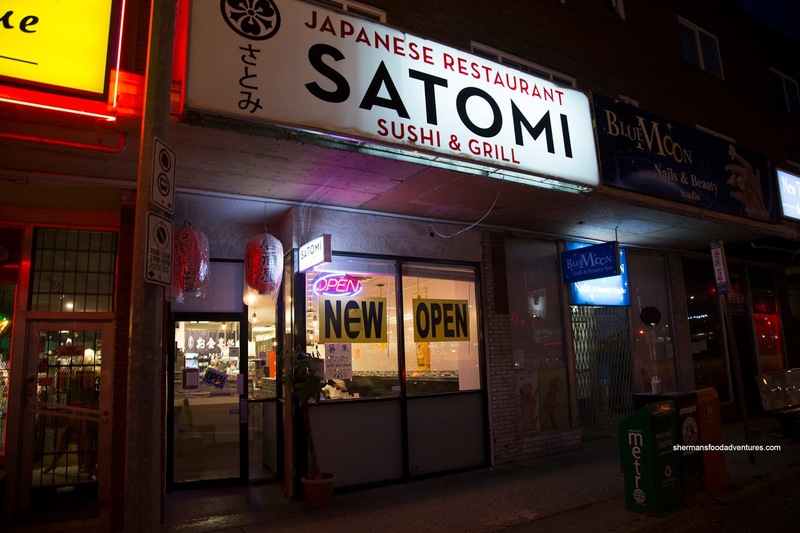 As Costanza remarked, we could add Satomi to our regular rotation.